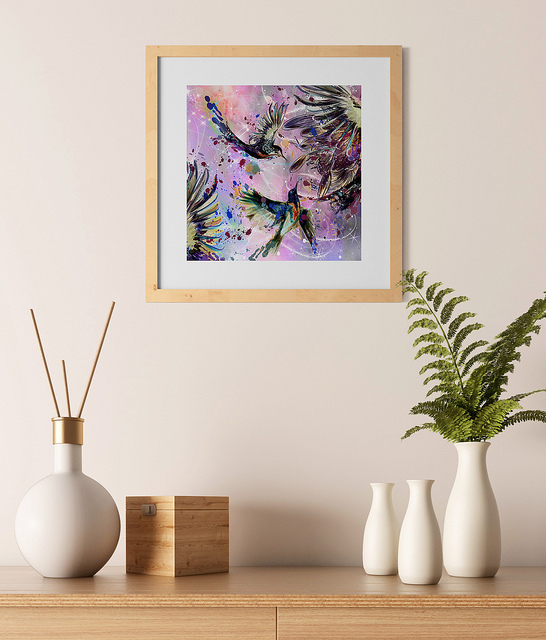 This beautiful swirl of hummingbirds in spring, will make a wonderful addition to your home decor or as a gift. A wonderful image for a housewarming gift, engagement, wedding, anniversary gift or to brighten up any room. 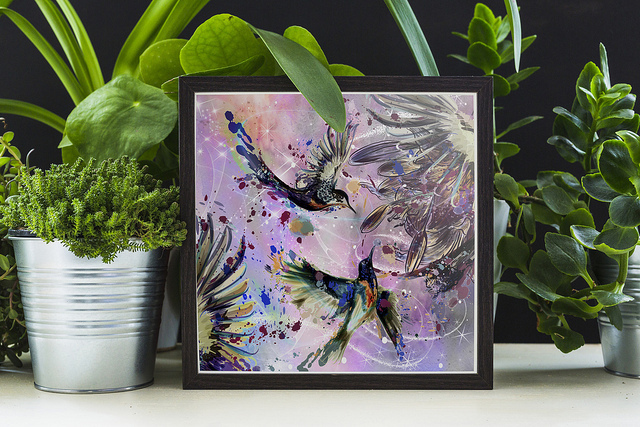 It will be loved by couples, bird lovers, art lovers an is guaranteed to be a talking point in any room. It is not overpowering at 6 x 6 inches in size. 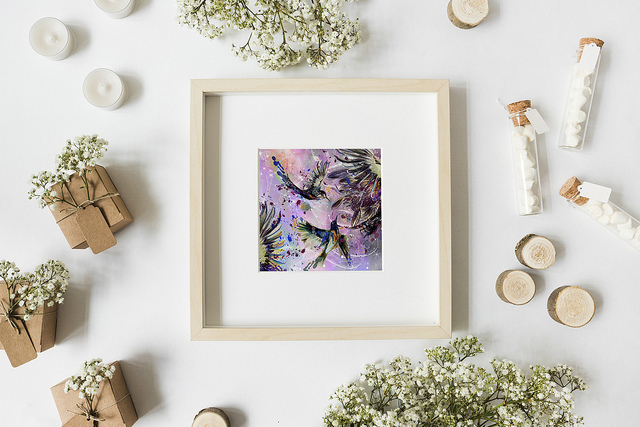 It comes to you unframed, ready to be put into a frame of your choice and will mount beautifully into an 8 x 8 inch frame. I hope you love it as much as we do and thank you for taking the time to look. 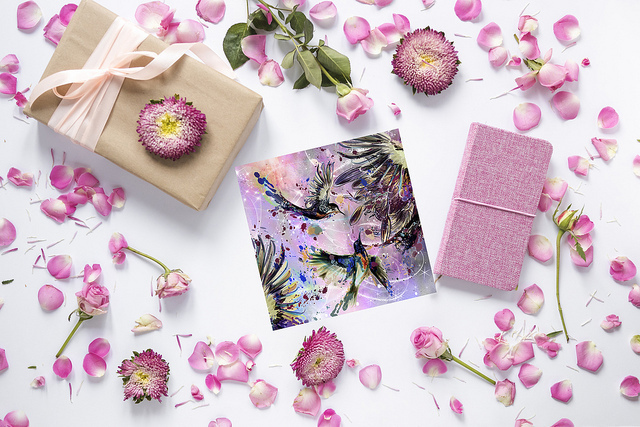 A selection of art products to hang in your home, gift to loved ones or have something special created for a special occasion. I take a lot of inspiration from nature and the world around me. I also love whimsical and fantasy pieces and you will find many of these throughout my shop. I hope that you will enjoy your visit and that you will come back soon.